Conventional loans (also known as Conforming loans) are mortgages made by lenders and held on their portfolio until paid or sold. Fannie Mae and Freddie Mac purchase these mortgages that meet conventional loans limits, down payment requirements, debt to income ratios and other underwriting guidelines. Both Fannie Mae (Federal National Mortgage Association) and Freddie Mac (Federal Home Loan Mortgage Corporation) are government-sponsored entities created by Congress to purchase conforming mortgage loans and resell them on the secondary market. The current 2019 Conforming Loan Limits for most locations in the U.S. is capped to $484,350 – with the exception of some high costs location in CA, FL, VA, DC, CO, etc. These locations are capped at $726,525. Borrowers in search of a larger loan amount should visit the Jumbo Loan page here. Like all home loans, Conventional loans have some advantages and disadvantages. Conventional loans generally require a larger down when compared to FHA loans, USDA Mortgage or VA Loans. Buyers are currently required to put down a minimum of 5% in order to obtain a Conventional loan. Please note, this down payment requirement only applies to owner-occupied primary homes. If you are looking for a second home or investment property Conventional loan, you can expect this down payment requirement to be 10-20%. One benefit is Conventional loans do not have the upfront mortgage insurance premium (MIP) requirement like all Government home loan programs. All Government loans require this, and the fee can range from 1 -3.3% of your loan amount. However, Conventional loans may require monthly private mortgage insurance (PMI) for down payments under 20%. Please note, as of 2019 all conventional loans require a min 620 credit score. Need assistance? Please submit the Request Contact form to connect with a specialist 7 days a week. 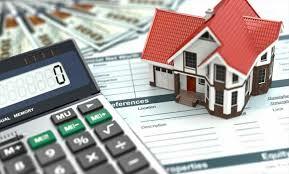 Conventional loans come with a verity of different mortgage payment terms available. Home buyers can pick Adjustable Rate Terms or Fix Rate Terms. Adjustable Rate Conventional loans come in a 5 year, 7 year and 10 year terms. Fix Rate Conventional loan terms include 10 year, 15 year, 20 year, 25 year and 30 year term. So what option is best for you? Well, that depends on how much money you have available for a down payment, credit profile, etc. 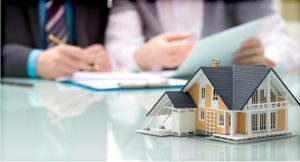 If you have 5% or more to put down on your new home, the Conventional home loan should certainly be looked at closely. If money is tight for a down payment, or you want to conserve your saving, the Government home loan mortgage options like FHA, VA or USDA, maybe worth a closer look. Buyer’s that require larger loan amounts can learn more about Jumbo mortgage options up to 95%. See all the Loan Programs at the tab above. Contact us and we would be happy to review all available home loan options with you! For prompt service, you can submit the “Request Contact” form at the top of your screen. We generally respond to all submitted requests within minutes during regular business hours.